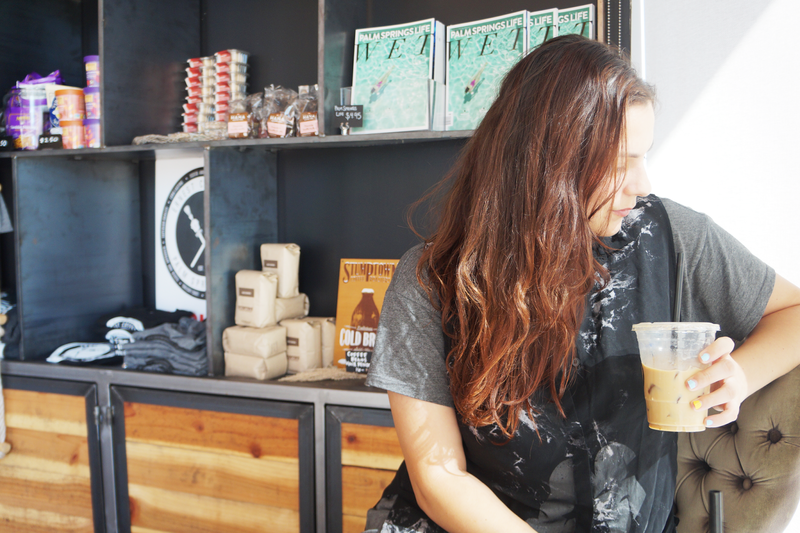 Can you ever go wrong with coffee? I mean really. 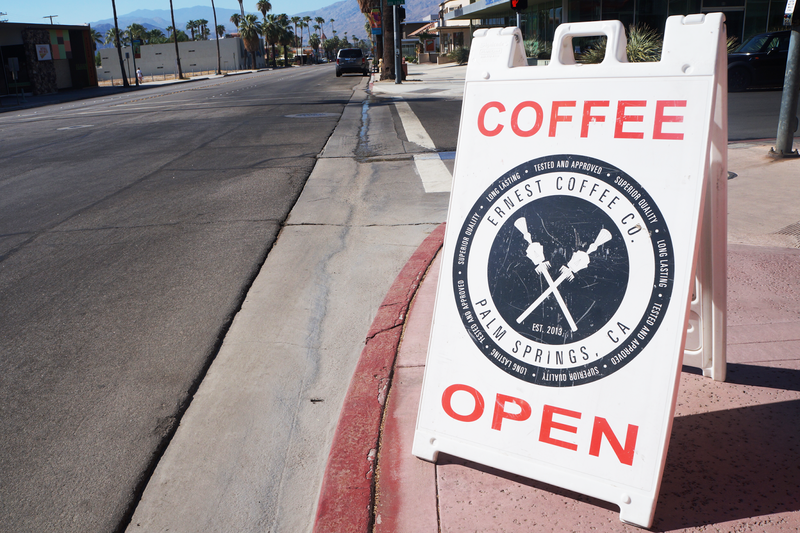 If you're ever in Palm Springs, Ernest Coffee* is a hip spot to grab some caffeine & a bite to eat. They have a range of drinks & even some alcoholic ones to choose from. That's why you must be 21 & up to enter. Cool, huh? Eric & Gregory were extremely kind. 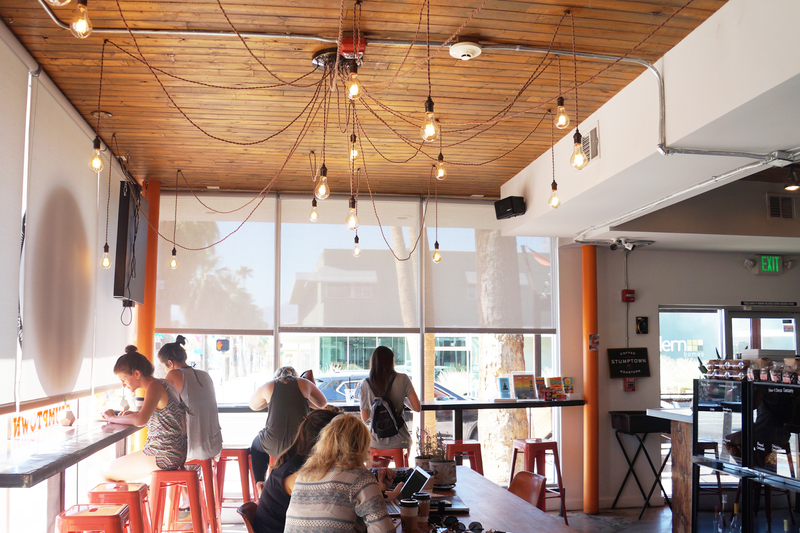 Eric gave us advice on what to see, where to go, & what's hot in Palm Springs. Gregory took me next door & showed me Bootlegger Tiki. 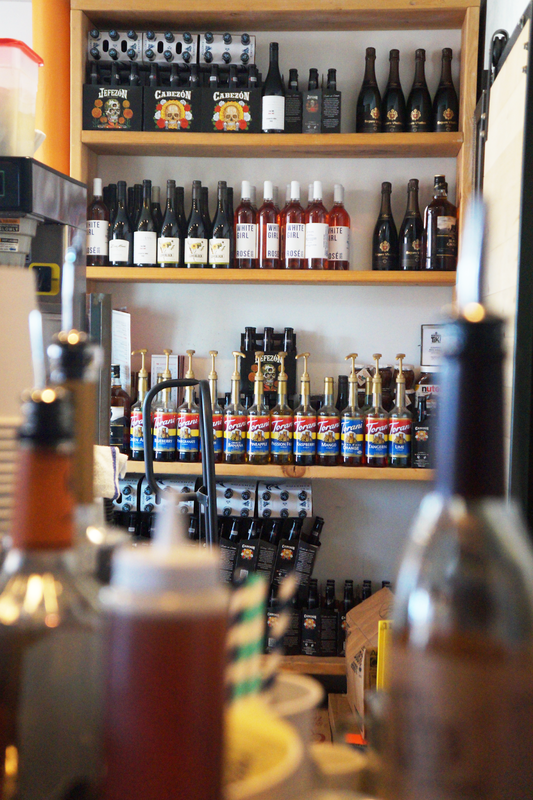 It opens at 4 p.m., essentially turning Ernest Coffee into a wine bar. Double cool. The constant flow of customers made it evident that Ernest Coffee is fan favorite. The small but busy coffee shop housed patrons working on their laptops, friends giggling together, & even a woman planning her wedding. There was a relatively even mixture of people drinking hot beverages & iced ones. Whenever I go to a bakery or café, I always opt for an almond croissant as a way to gauge their quality. Ernest Coffee's almond croissant was crunchy & perfectly flaky with a delightful almond paste filling. We tried the strawberry pastry but it almost too sweet. We both agreed we preferred the almond croissant. The iced caramel latte included house made caramel syrup. The iced chai latte was perfectly spiced. We both deemed the iced chai as the winner, but the iced caramel latte was pretty scrumptious too. I just have a soft spot for anything chai related! I sampled one of their alcoholic drinks, the Long Shot. It had SelvaRey cacao rum, primario mezcal, agave syrup, cold brew, chocolate bitters, topped with half & half. Now that was a strong drink. If you're looking to get a morning kick in the mouth, this is for you. 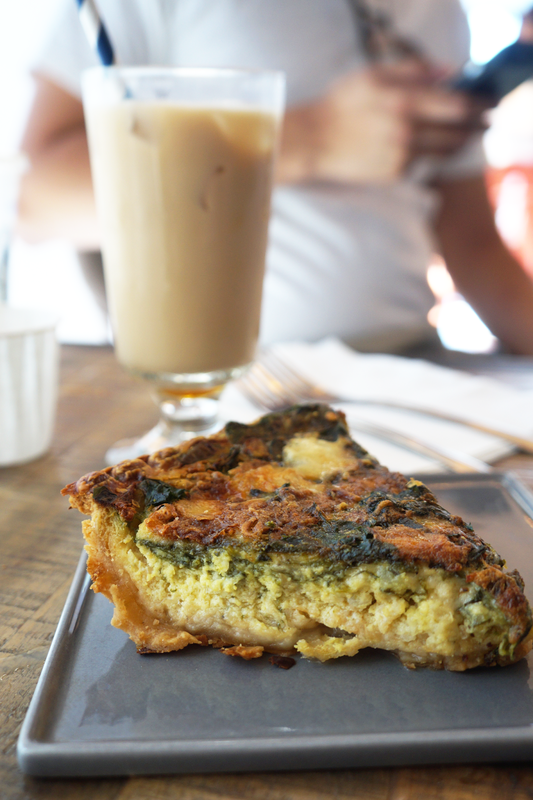 The spinach quiche was rich & utterly incredible with a delightful crust. My top items were the iced chai latte, almond croissant, & spinach quiche. If you want to try something new, opt for the Long Shot. 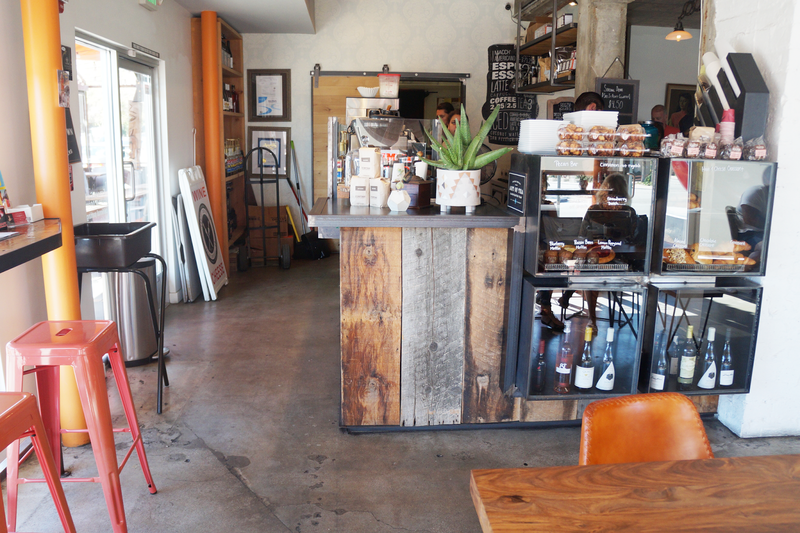 Ernest Coffee is clearly a cool & tasty spot to hang out without kids or teens. 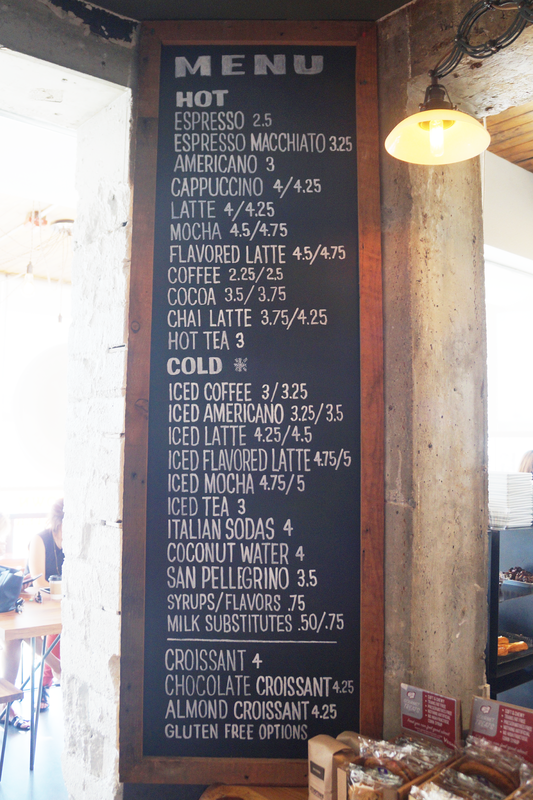 If anything, come in & choose any of their espresso drinks & you're all set!